The six-hole experience is the latest effort by Google to show consumers that Amazon’s Alexa isn’t the only artificial intelligence system that can help around the house. 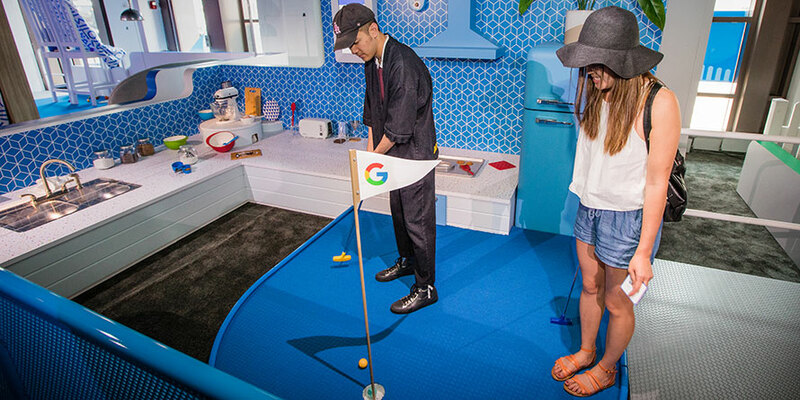 To help raise awareness for its smart speakers, Google has built a pop-up mini golf course in New York City. 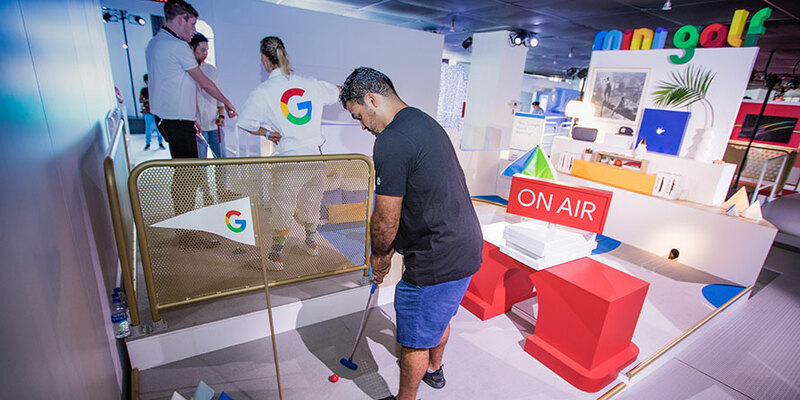 The six-hole experience, which is open to the public until June 4, is the latest effort by Google to show consumers that Amazon’s Alexa isn’t the only artificial intelligence system that can help around the house. 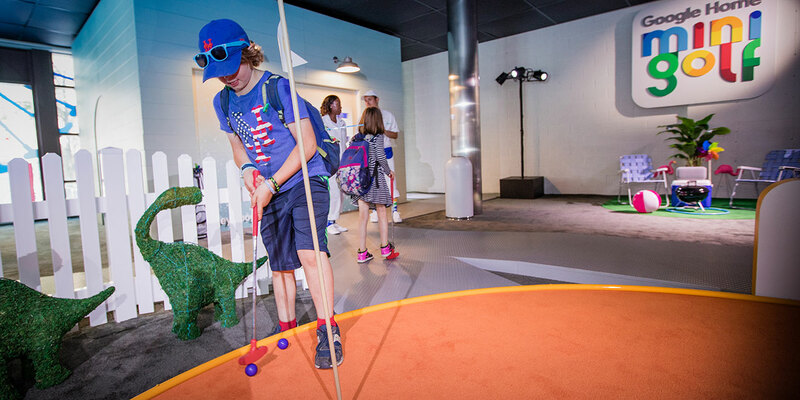 Upon entering the building—located in Manhattan’s West Village neighborhood—players can pick out their putter color before moving on to a gumball machine to receive their golf ball. (Of course, there’s also a score card for the competitive types.) 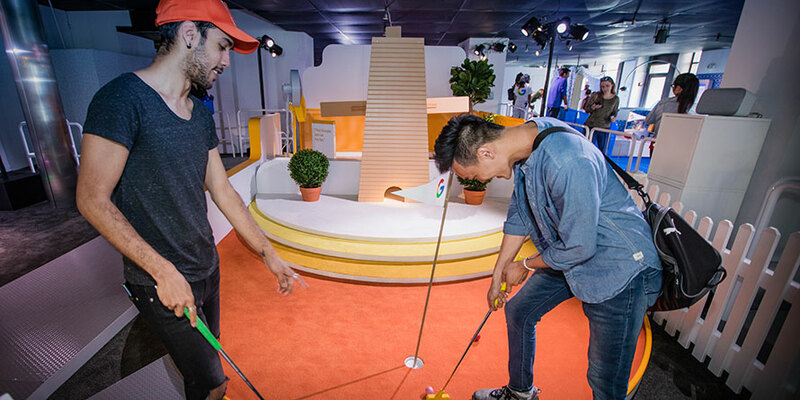 Like normal mini golf, each hole includes whimsical decorations and obstacles, like the standard windmill or a loop-the-loop. However, with Google’s course, the obstacles are activated with the use of Google Assistant, the company’s own rival to Alexa. 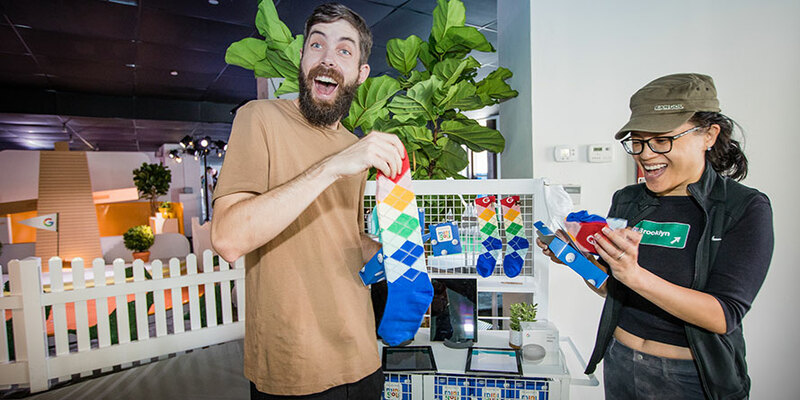 At the beginning of each hole is one of three different Google smart speakers—the Google Home, a smaller Google Mini and the larger Google Home Max. Along the way, players use Google Assistant with the help of various voice prompts that showcase how someone might use Google inside their own home. For example, users can turn on a light on the first hole or a TV on the second. On the third, Google Assistant starts a fan, which then also activates a windmill that spins to block the ball’s path. 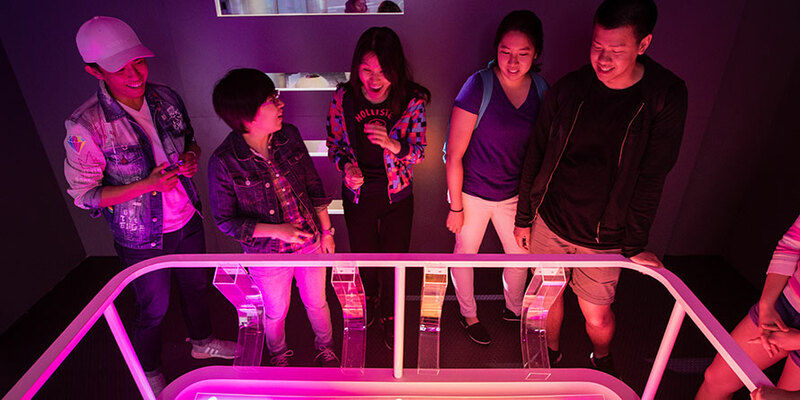 Once it leaves New York, the course will travel to Chicago from June 14 through June 17. After that, it’ll head to Los Angeles from June 3 through July 5 before going down south to Atlanta from July 26 until July 29. 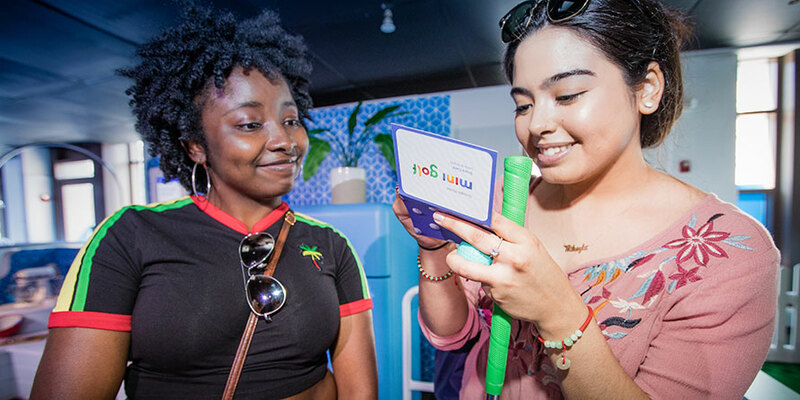 The experience is a follow-up to last year’s pop-up donut shop, which let visitors talk to Google for a chance to win a speaker or a donut. 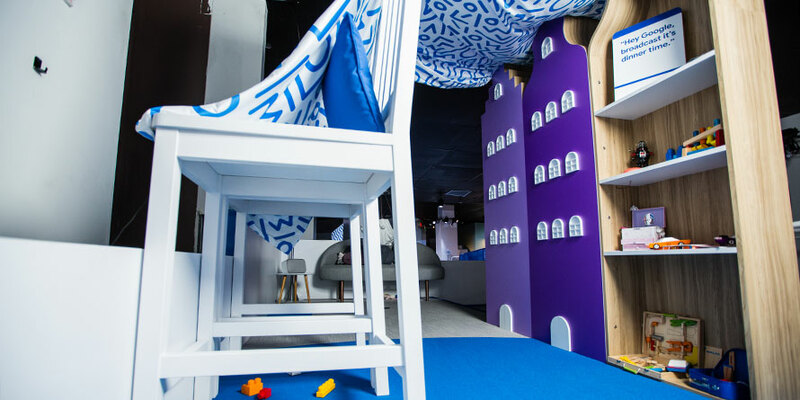 It’s also part of Google’s broader series of elaborate activations to show people how to “make Google do it.” For example, at this year’s South by Southwest in Austin, Google turned a home into a multi-story funhouse that activated blinds, lights and litter boxes. A few months earlier at the Consumer Electronics Show in Las Vegas, it built a massive voice-activated gumball ball machine and pop-up playground. Meanwhile, to fully take advantage of connected home trends, Google has rapidly expanded how many devices Assistant can interact with. 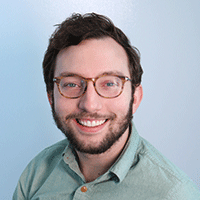 A few weeks ago, the company announced Assistant could now activate more than 5,000 devices—up from 1,500 in January. However, that’s still far fewer than Alexa, which can talk with 12,000. The advertising play against Alexa might be working. In the first quarter of this year, Google beat Amazon in total units shipped for the first time, shipping around 3.2 million Google Home and Google Home Mini speakers compared to Amazon’s 2.5 million Echo devices, according to a report released last month by the market research firm Canalys. The strong quarter also helped put Amazon’s total U.S. market share of smart speakers to below 50 percent for the first time. And at a global level, Canalys said Google is actually ahead of Amazon, with 36.2 percent of the market in the first quarter compared with Amazon’s 27.2 percent.